Mimicry is a game that takes place on two locations at the same time. 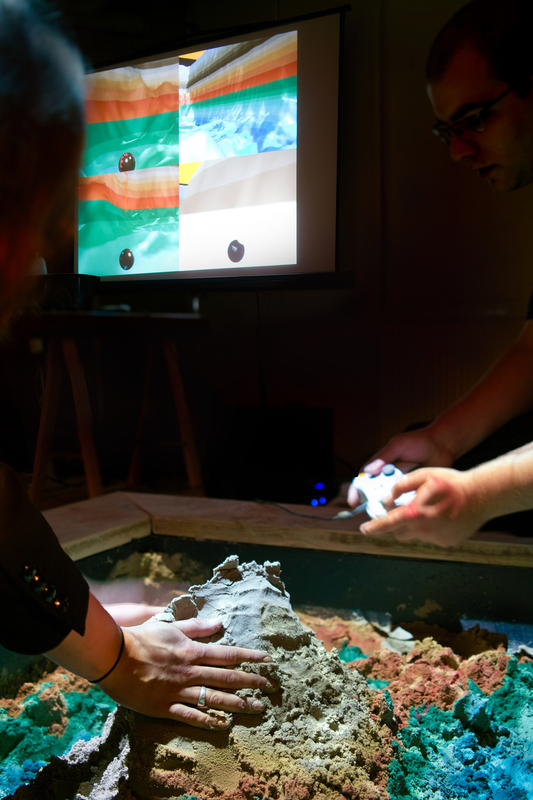 Mimicry is played simultaneously on screen and in a sandpit. The setting of Mimicry is a light-hearted and playful environment. It is best described as a playground or a virtual sandpit. 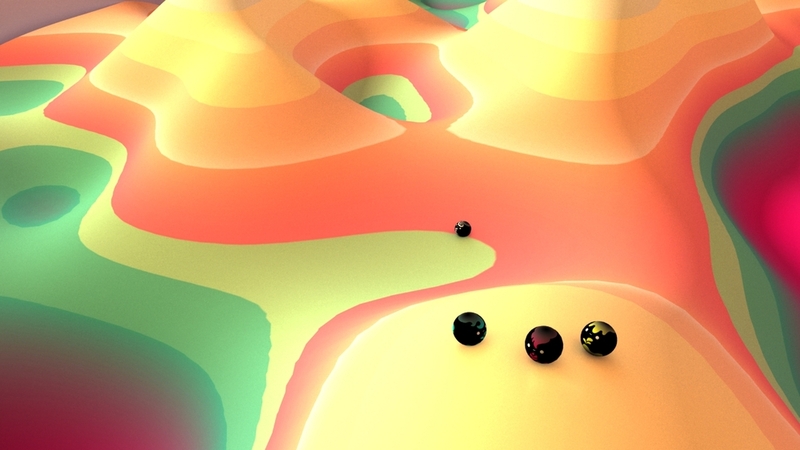 Four players tumble around in a virtual world in which they chase each other around, push each other off mountains and harmoniously paint together in the sand. There are no set rules or points to collect in order not to restrict the players in their freedom and creativity. The most important aspect of Mimicry is to create your own playful game. Yet, there is a surprising twist to this game. 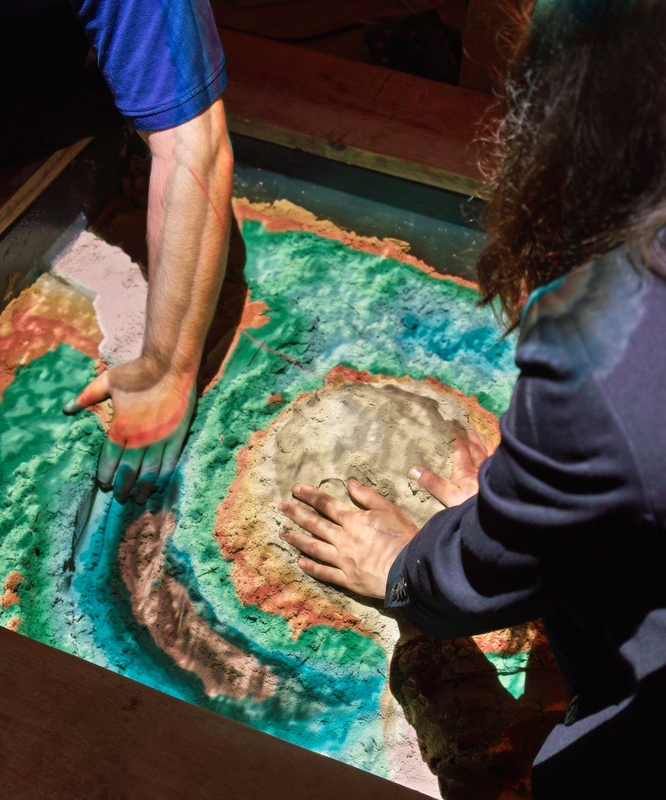 The virtual world in which the players confine themselves expands itself to the real world, to an actual sandpit. 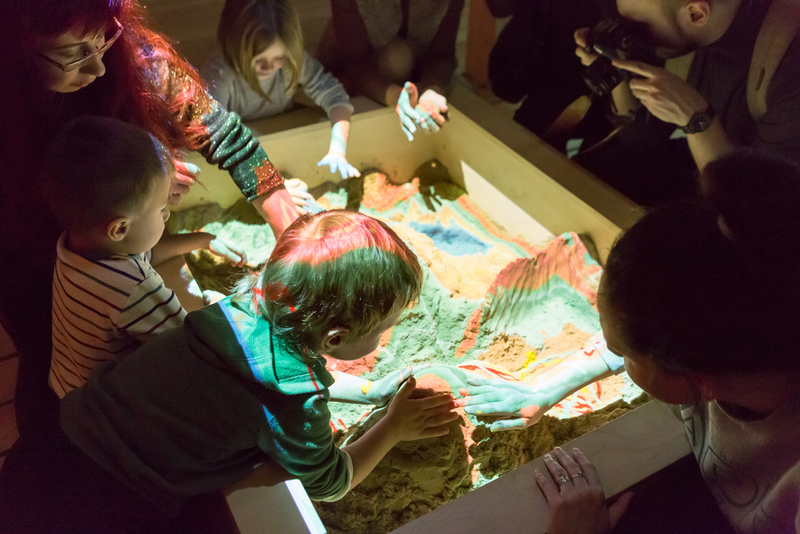 The Mimicry players create their own imaginary world by playing with the sand in the sandpit. When you take a closer look you will even find the digital players racing through the sand. You can up a barricade to hinder your opponents or create your own racetrack. 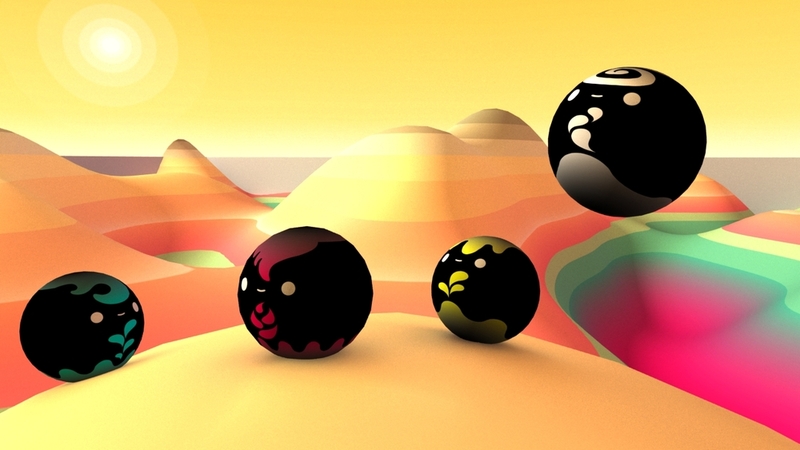 In this versatile game people from various worlds are brought together in a playful way: players who prefer to be in control of the buttons as well as people who prefer to play outside in the sand.